Recap from the first installment in this series: Orlando (1992) is based on Virginia Woolf’s 1928 novel Orlando: A Biography. Directed by Sally Potter and starring Tilda Swinton as Orlando, the story floats dreamily across 300 years of Orlando’s life, first as a man and then as a woman. Orlando never appears to age, owing to a magical slumber that happens every century or so, when he (then she) awakes refreshed in a new era. The film is broken up into segments with the years given to establish Orlando’s place in history at any given moment. This timeline is one of the reasons that this film has long been a costumer favorite, as the costumes, designed by Sandy Powell, range from the end of the Elizabethan age through to the modern era (well, the early 1990s at any rate). It is chalk full of eye-candy at every turn, but when I set out to write this post I realized that I would need to break it up into separate posts dealing with each of the eras, lest I overwhelm myself (and everyone else with me). This post picks up where the previous one left off … Orlando has fallen into a deeeeeep sleep and finally awakes in 1650. “He appears to be … sleeping.” Thank you, Captain Obvious. Orlando decides that he will sponsor Nick Greene, a poet and publisher, in hopes that he will help him become pursue his own dream of being a poet. Things do not go quite as well as hoped. Greene is dirty, unkempt, a bore, and only interested in Orlando’s money. Note the differences in their respective styles. Greene is wearing a grubbier, older style suit compared to the cutting-edge fashion of Orlando’s frock coat. Both are wearing petticoat breeches, which existed as proof that fashion in this century had gone completely bonkers. 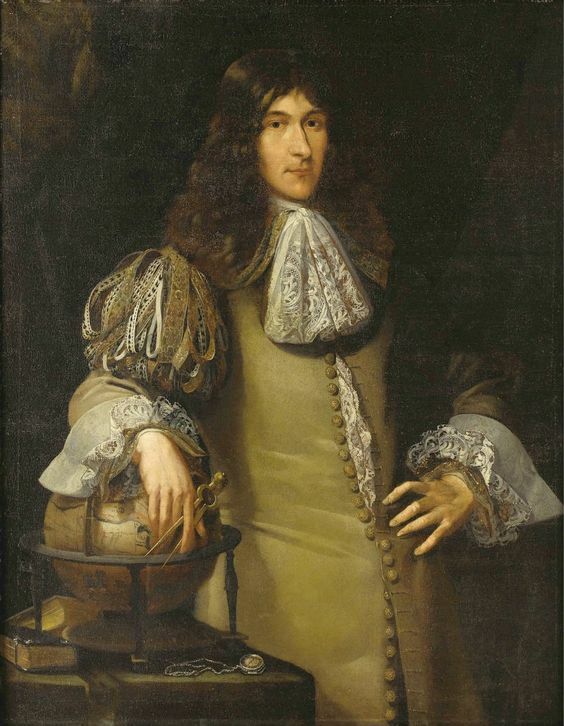 There are elements of Orlando’s suit that can be seen in “A Portrait of a Man of Science” by Lubieniecki, from the 1670s. The ribbons on the right shoulder, for one … Via Wikimedia Commons. Greene agrees to read Orlando’s poem, but dismisses it as complete rubbish, even going so far as to rewrite it himself and send it back to his master pointing out all the ways, in verse, that Orlando is basically a shallow prat. After all he’s done for Greene, too. The nerve. The film suddenly leaps forward to 1700, during the reign of William and Mary. Orlando is seeking a change of pace, and the King decides to send him to Constantinople as the English Ambassador to the Turks. This leads to a lot of fabulous wigs. Note that Orlando is wearing panniers under his waistcoat. I’m not entirely certain if this was actually done outside of masque costumes, though it is in keeping with Orlando’s highly theatrical, foppish style. 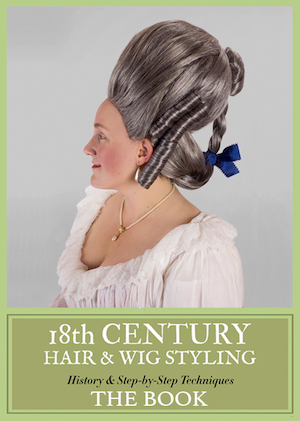 Check out this cool extant late 17th-century full-bottomed wig! Via Christies. 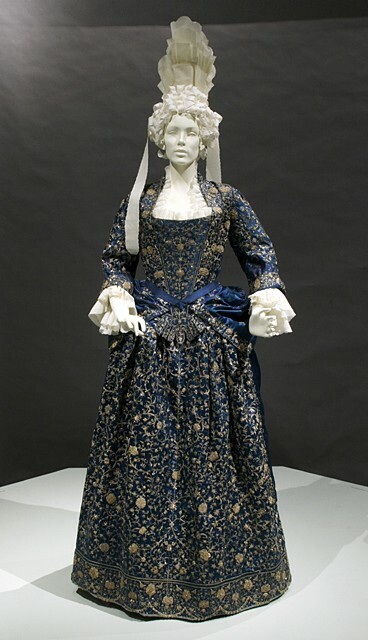 Mantua, c. 1680-1700. Via LACMA. Once in Constantinople, Orlando does his best to adapt to the strange world around him. Initially, he seems fairly resistant to abandoning his European ways, but eventually, as a bond with the Khan develops, he starts to dress in the Turkish style. Portrait of Don Luis de la Cerda, by Voet, 1684. Via Wikimedia Commons. Archduke Harry arrives in Constantinople to inform Orlando that the Queen (presumably now Anne, placing this post-1702, if you’re trying to follow along historical-events-wise) wishes to recognize his years of faithful service by elevating him to the highest peerage. This requires throwing a lavish party at the Khan’s palace, in which none of the Turks attend, mainly because an uprising has suddenly broken out. The Khan asks Orlando if he will honor their friendship by sending his men to help defend the palace, and much to Archduke Harry’s bemusement, Orlando agrees to stay and fight. There are a lot of shots of this particular guy with his back to the camera, showing off those FABULOUS cuffs. After the battle, Orlando realizes that war actually IS hell, and he wants none of it. He falls into yet another slumber and… Well, we will continue this in the next post! Does 17th-century costume on screen rock your socks? Yummy Fashion, especially the wigs and Orlando’s foppish clothes. 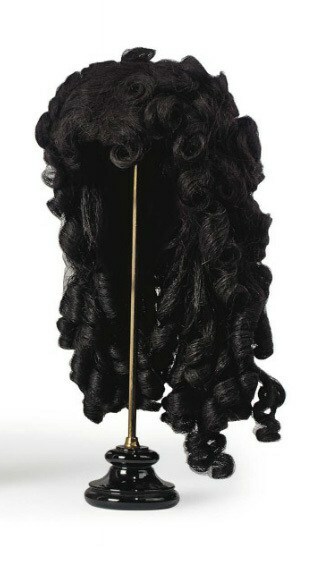 Wigs sorta remind me of very long Chuck II, er Charles II, ones. This part of movie gives me wig lust, which cannot be cured.? The costumes in this movie are amazing! I’m really regretting not seeing “Orlando” when it came out, and I guess I’ll have to track it down now. Thanks for this series of posts! And John Wood (sigh) as Archduke Harry….. The all white/black costumes in the garden scenes are clearly referencing the Draughtsman’s contract, as the music in those scenes. Is that desert supposed to be Constantinople?